Become A Muse – Working Group on Girls of Schenectady, Inc.
Do you care about supporting girls and encouraging their healthy development? Are you flexible, a team player, able to listen and learn from others, able to laugh easily? 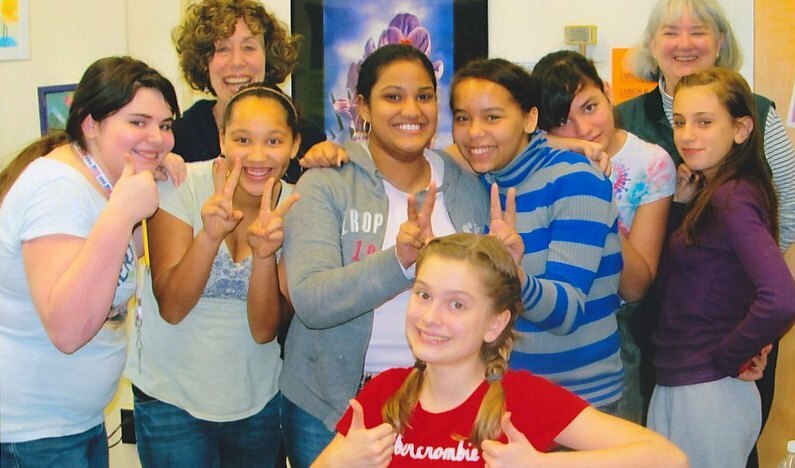 Would you volunteer a couple of hours a week to support middle school girls in Schenectady? Become a muse and join other dedicated, warm-hearted women to co-lead a Girls’ Circle of 6-10 middle school girls in Schenectady. Muses get the opportunity to interact with wonderful girls and women, to see “their” girls evolve through the year, and to connect with a wonderful, supportive community. First-time muses attend ten hours of training in October and November. This training includes an overview of the muse position and curriculum ideas. After training, muses meet with their girls’ circle for about an hour 2 to 4 times per month. Muses may spend additional time preparing for girls’ circles or attending events or field trips. When is the time commitment? Girls’ circles meet from November through May, weekly or bi-weekly, during lunch or after school. What school will I be assigned? At training, we’ll ask for your preferences. While assignments are based on each school’s needs, when possible, we’ll accommodate your preferences. Would I be working alone with the girls? No. You’ll have a partner muse with whom you’ll work throughout the year. If you’d like, you may recruit a friend, but we also have found it useful to partner muses who might balance each other in terms of personality or background. Partner muses work with a school clinician. What kind of support would we have? In each circle, your school clinician is trained and available to respond to any serious concerns. Outside of the circle, you’ll be invited to meet with other muses and WGGS members who are available to offer support and ideas. What is a typical girls' circle like? At a typical meeting, you, your co-muse, and your clinician will arrive to set out lunch (usually pizza) in a classroom or other spare school room. The girls will arrive, you’ll greet them warmly, they’ll get food and settle into seats, and then you’ll talk about something important to them (a curriculum you’ve prepared, like healthy relationships, bullying, body image, or possibly a discussion in response to what’s going on in the girls’ lives. Often you’ll do a craft. You’ll most likely feel like the end-of-lunch bell comes to soon . Or click here for a printable volunteer application.